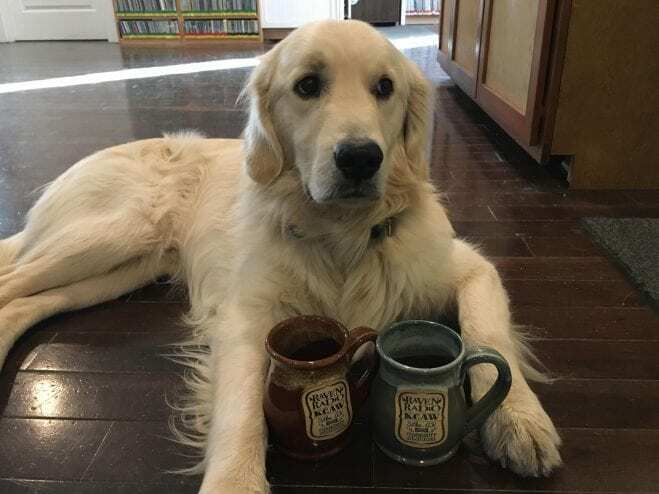 Come and get your mug! Or else Finnegan may take a few extra. If you pledged at the $100 level during our Spring Pledge Drive, come to the station to get your 16 oz. mug in either bright sage or warm cinnamon. If you live outside Sitka, we will ship your mug to the address provided. Raven Radio’s spring pledge drive continues. Thanks to the support of our generous members, we raised around $79,000 during the on-air portion of our Spring Pledge Drive. We have just $6,000 more to raise in order to meet our goal of $85,000. If you have not yet made a contribution, please consider doing so now. You can pledge online or call us at 907-747-5877 during normal business hours.